Today’s guest blog post is from Monica Houston, who leads the Hackster Live program at Hackster. Hackster is dedicated to advancing the art of voice user experience through education. Even though it’s a sunny Saturday morning, men, women, and perhaps a few teens filter into a big room, laptops in hand, ready to build Alexa skills. They’re here to change the future of voice user experience. Hackster, the community for open source hardware, has run 12 events with Amazon Alexa this year and 13 more are in the planning stages. All 25 events are organized by Hackster Ambassadors, a group of women and men hand-picked from Hackster’s community for their leadership skills, friendliness, and talent for creating projects. Hackster Ambassadors pour their time and energy into helping to evangelize Alexa. 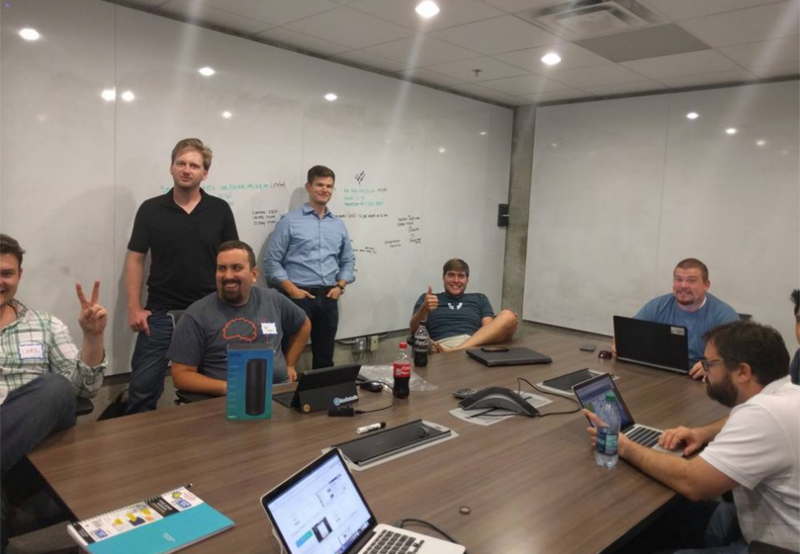 Ambassador Dan Nagle of Huntsville, Alabama, created a website where you can find Hackster + Alexa events by city. Ambassador Paul Langdon set up a helpful github page where you can see skills that were published at the event he ran in Harford. He also volunteered his time and knowledge to run a series of “office hours” to help people develop their skills. 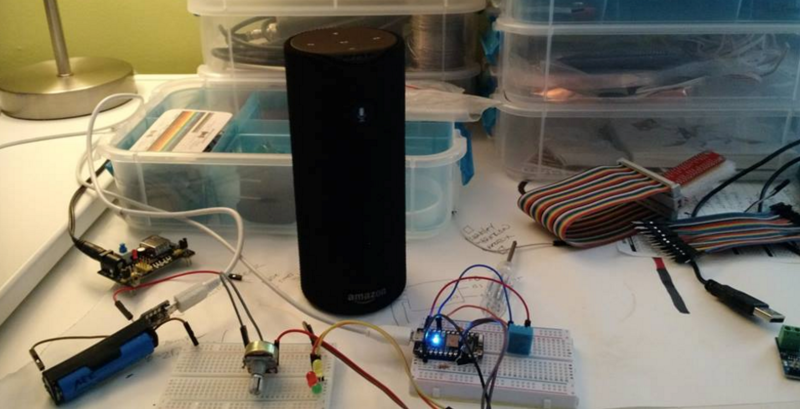 While Hackster provides venues and catering for these events and Hackster Ambassadors spread the word to their communities, Amazon sends a Solution Architect to teach participants how to build skills for Alexa and answer questions. Amazon Solutions Architects go above and beyond to help people submit their skills for certification. Not only do they answer questions on Hackster’s developer slack channel, they also have hosted virtual “office hours,” run webinars, and conducted two “slackathons” with Hackster’s community. Although the 25 Alexa events are being held in US cities, Hackster Live is a global program with 30 international Ambassadors. Hackster shipped Amazon Echos to our Ambassadors in South America, Asia, Africa, and Europe. Virtual events like slackathons and webinars run by Solutions Architects make it possible for people from around the world to learn skill building and add to the conversation. Attendees are a mix of developers, students, artists, and laypeople looking to enhance their skills or solve their everyday problems. Some of them have already been experimenting with home automation, and they jump at the chance to work with Alexa. Others come from Hackster’s community of people living on the bleeding edge of tech, including the makers and tinkerers who aren’t afraid to mix things up. There’s also a group of non-technical people, including artists and students who are inspired to solve real problems and create new forms of entertainment. Hackster actively recruits people who might not otherwise consider themselves technical. We need a spark of creative genius to tease out the best uses for voice user experience, and we want to foster skills built by and for non-technical people. We’ve been successful so far in gathering creative people from diverse backgrounds. The youngest person to attend an event was a 7th grader at an event in Dallas. We’ve also seen a family of three (mom, dad and kid) attend the Harford event where each one of them created three skills. A new father of twins built a voice controlled baby rocker at the Harford event. This rocker uses Raspberry Pi, Alexa, and a simple circuit to rock these high tech twins to sleep in style. Just tell Alexa the name of the baby you’d like her to rock and she’ll start rocking. Since Hackster focuses on hardware, it’s no surprise that several of the skills have involved hardware hacks. Ron DagDag, from Dallas, Texas, controlled his drone with Alexa. Ron used a Rolling Spider drone, nicknamed “Echobot.” He used PubNub to take commands from Alexa and send them to the Raspberry Pi 3, which in turn talked to the Echobot via Bluetooth. You can find the project instructions with video here. Want to get the value of the resistor you’re holding without even looking up from your desk? Connor Huffine created a skill that does just that. No need to stop soldering. Just tell Alexa the colors of the bands on your resistor and she’ll tell you the answer. While not technically a skill, one of the most creative uses of Alexa we have seen is this short video project by Leslie Birch, an artist and maker from Philadelphia. In it, she explores a future where our devices know more about the people in their household than the people themselves. Alex and Echo, two Amazon Echos, try to solve some of the emotional problems of the family they live with. Please note, this is a simulation and Alexa is not always listening. Hackster is looking forward to running more fun events in the future. 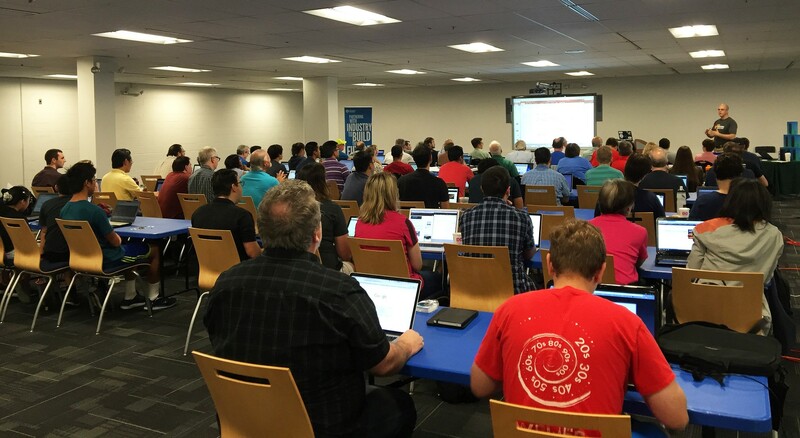 Check out Hackster’s website to find an event near you.